If you’re buying a new home in the Indianapolis area, it’s important to have money set aside for closing costs that will need to be paid upon completion of your home purchase. These costs are usually paid at the closing table before you take possession of your new home, and the amount will vary depending on the home you buy, type of financing and the costs involved. 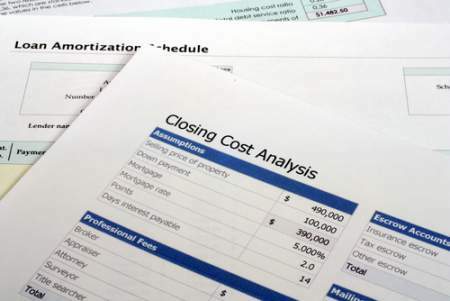 💲 What are closing costs? 💵 What are typical closing costs for buyers? 💰 Which closing costs are tax deductible? Closing costs are fees that are incurred in transferring the title of the home from the seller to the buyer. The seller may be an individual homeowner in the case of the sale of an established home, or in a new construction sale, the seller refers to the company that built the home. The closing costs may be the responsibility of either the buyer or the seller. Closing costs are usually based on the sale price of the home. They typically range from 2% to 5% of the total sale price of the home. This means that if you paid $200,000 for your home, closing costs will be between $4,000 and $10,000. These costs may be paid by the seller, the buyer or split between both, this will be a term that will be predetermined in the sales contract. Usually, in the case of a new construction home, the builder covers most of the closing costs. Application fee – This is a fee that may or may not be charged by your mortgage lender to cover the cost of obtaining your credit score and report and underwriting. Courier fees – This covers costs associated with transporting documents between lawyers, mortgage brokers, home builders and real estate agents. Inspection fees – In most cases, buyers will hire their own home inspector before taking possession of their new home. Other inspections include pest inspections, flood zone inspections, and lead-based paint inspections. Escrow deposit – Many contracts will require the buyer to pay one to two months of property tax and mortgage insurance upon closing. Insurance costs – Homeowners will be required to pay insurance costs such as property insurance and mortgage insurance, usually these are due at closing. Title search – This fee covers the costs of searching the property’s title and ownership history. Title transfer fee – This fee will cover the administrative costs associated with transferring the property title from the seller to the buyer. FHA Upfront Mortgage Insurance Premium – Homeowners with FHA loans are required to pay 1.75% of the base loan amount up front. Origination fee – This is a fee that covers the administrative costs that are incurred by the lender. Some mortgages do not come with origination fees, but those that do are usually 1% of the total loan amount and are to be paid upon closing by the buyer. Survey fee – This fee is paid to land surveyors who verify property lines and inspect things like fences and hedges that sit on the property borders. In Indiana, land surveys are usually optional, but in some states, it is a requirement that may be at the expense of the buyer. VA fee – If you’ve acquired a VA loan to pay for your home, you will be required to pay a VA loan fee. This fee is a percentage of your total loan that may vary based on the type of service you’ve selected as well as the amount of your down payment. Buyers are usually required to pay this cost at the time of closing, however, it may be possible to include this in the total loan costs. In the United States, some closing costs associated with purchasing a home may be tax deductible. 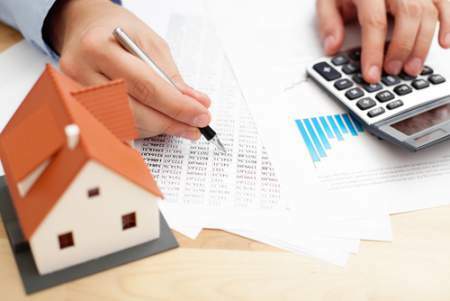 Costs that are tax deductible include mortgage taxes and real estate tax. Services and fees for things such as couriers, home inspections and title searches are not typically tax deductible. Home buyers who want to keep closing costs low — especially those that are not tax deductible — are best to negotiate the terms of the contract with the seller in their favor. In many contracts, sellers can be held responsible for a majority of the closing fees if the contract is negotiated correctly. Hiring a real estate agent to represent you in negotiations will give you the best chance to keep your closing costs low.